Around 200 miners, business leaders and local politicians stood around tables covered in mining headgear and tablecloths labeled “Make Coal Great Again” as they overlooked a freshly dug coal pit located around 60 miles southeast of Pittsburgh. The group was assembled for the opening of Corsa Coal Corp’s Acosta mine – the country’s newest mining operation – which will dig up metallurgical coal for use in a booming steel industry and is expected to generate up to 100 full-time jobs. Hundreds of job applications already have poured in. Although many analysts have predicted a decline in coal extraction, the mine has been praised locally as an economic lifeline for a region hard hit by the decline in coal-fired power plants and – despite Corsa starting work on the mine last August – it’s been hailed by President Trump as proof that environmental deregulation will bring jobs to the struggling industry. “When I campaigned for president I said that we would end the war on coal and put our incredible miners-that’s what you are you are incredible – back to work,” Trump said in a video played for the crowd gathered in Somerset County. Trump has made reversing the decades-long decline in coal mining the central tenet of his environmental policy – blaming federal regulations aimed at curbing planet-warming carbon emissions for job losses in the industry. The revival of the industry was one of Trump’s main talking points while on the stump last year and helped him win over working class voters in Pennsylvania’s coal country. Since taking office, Trump and Environmental Protection Agency Administrator Scott Pruitt have targeted laws that protected waterways from coal waste and required states to slash carbon emissions from power plants. About a dozen protesters chanted in opposition to the mine at the opening, but the mine seems to be overwhelmingly popular in Somerset County. The mine will produce approximately 400,000 tons of metallurgical coal annually during its 15 year lifespan and will employ between 70 and 100 people, while the mine’s trickledown effect could create another 300 to 400 jobs. There may be an uptick in the industry from time to time, but overall the outlook for the future of coal is pretty bleak. While Trump’s pro-coal agenda has put him at odds with many Democratic lawmakers, the Acosta Mine enjoys bipartisan support in Pennsylvania. Pennsylvania Gov. Tom Wolf – a Democrat who is a sharp critic of Trump’s plan to leave the Paris Climate Accord – was on hand for the mine opening. The state doled out a $3 million grant for the mine, which helped offset the $15 million or so initial investment, and Wolf called the mine an effort to bring back jobs and industry to an economically-beleaguered part of Pennsylvania. Part of Wolf’s support for the mine may be the mine will be used for metallurgical coal, which has less impurities and is generally seen as cleaner than the coal used to fire power plants. The price of metallurgical coal tripled to over $300 a ton over the past year after China slashed its coal production and the steel industry bounced back from a global downturn. Cyclones disrupted supplies in Australia, the world’s biggest exporter of metallurgical coal, pushing prices higher. The metallurgical coal being pulled from the new mine, however, is part of a niche market that makes up only between 5 percent and 10 percent of coal production and operates independently of the market for power-generating coal plants. Analysts emphasize that the new mine doesn’t reflect a long-term revival in the coal industry as a whole, which continues to struggle amid mechanization and cheaper, cleaner energy alternatives such as natural gas and renewables. “There may be an uptick in the industry from time to time, but overall the outlook for the future of coal is pretty bleak,” Tom Sanzillo, the director of finance at the Institute for Energy Economics and Financial Analysis, told Fox News. 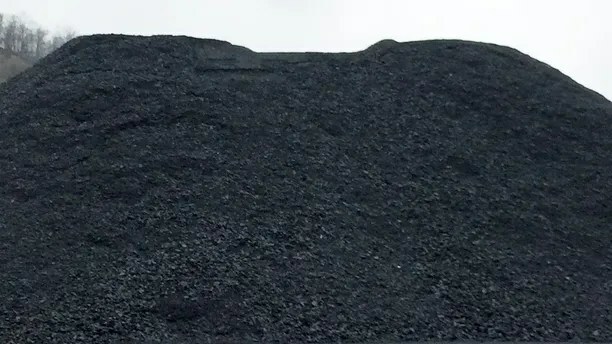 Over the next 35 years, Sanzillo said, the market for metallurgical coal is expected to remain stagnant, while steaming coal will continue its downward trend. “That means there will not be much of a robust job market,” he added. Fox News’ Leland Vittert and The Associated Press contributed to this report.